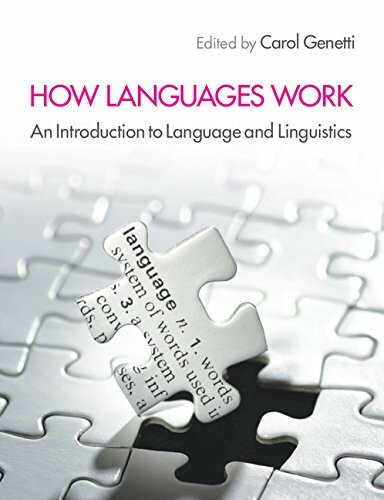 A new and exciting introduction to linguistics, this textbook presents language in all its amazing complexity, while guiding students gently through the basics. Students emerge with an appreciation of the diversity of the world's languages, as well as a deeper understanding of the structure of human language, the ways it is used, and its broader social and cultural context. Chapters introducing the nuts and bolts of language study (phonology, syntax, meaning) are combined with those on the 'functions' of language (discourse, prosody, pragmatics, and language contact), helping students gain a better grasp of how language works in the real world. A rich set of language 'profiles' help students explore the world's linguistic diversity, identify similarities and differences between languages, and encourages them to apply concepts from earlier chapter material. A range of carefully designed pedagogical features encourage student engagement, adopting a step-by-step approach and using study questions and case studies.